The captioned title is from Bjorn Lomborg, who is one of the few energy policy thinkers who is paying close attention to the impacts of policy options on energy poverty – especially of the bottom 1.6 billion. But also of the developed-world poor who are being shoved into this miserable state by their misguided government policies. Germany is a standout for the failing Energiewende. The German government recently said that 6.9 million households live in energy poverty, defined as spending more than 10 per cent of their income on energy. This is partly a result of Germany’s Energiewende, the country’s turn away from nuclear and towards renewable energies. Since 2008, this charge has increasingly reallocated money from the poor to the rich, e.g. from poor tenants in the Ruhr area to wealthy homeowners in Bavaria who put solar panels on their roofs. The charge has skyrocketed from 1.15 ct/kWh in 2008 to 6.24 ct/kWh this year. Since then, another 1.4 million households slipped into energy poverty. German consumers have already paid €109 billion for renewable energies since 2000, with greater costs looming on the horizon. 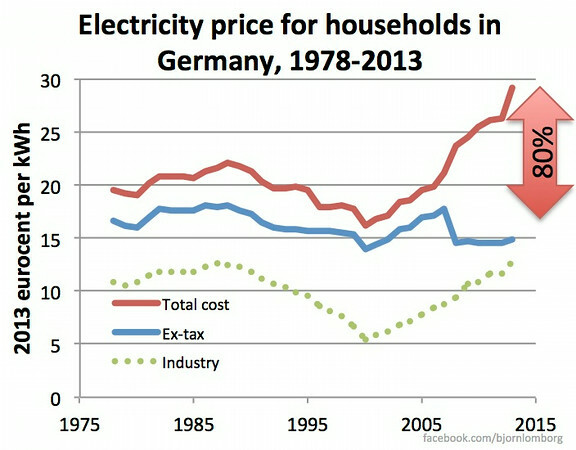 Between 2000 and 2013, real German electricity prices for households have increased 80%. About one quarter of household electricity costs now stem directly from renewable energy. That’s just a taste, please get over to Bjorn’s original page for a careful read. Next I recommend you allocate just a few minutes to the two splendid short videos Bjorn has produced. I discovered these on the recommendation of Bill Gates (no, not personal recommendations, just that I follow Bill’s blog). 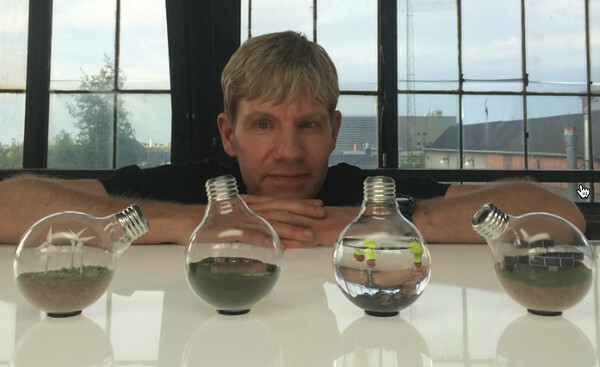 He hosts these Lomborg videos at The Gates Notes Two Videos That Illuminate Energy Poverty. This entry was posted in Energy Policy and tagged Energiewende by Steve Darden. Bookmark the permalink.